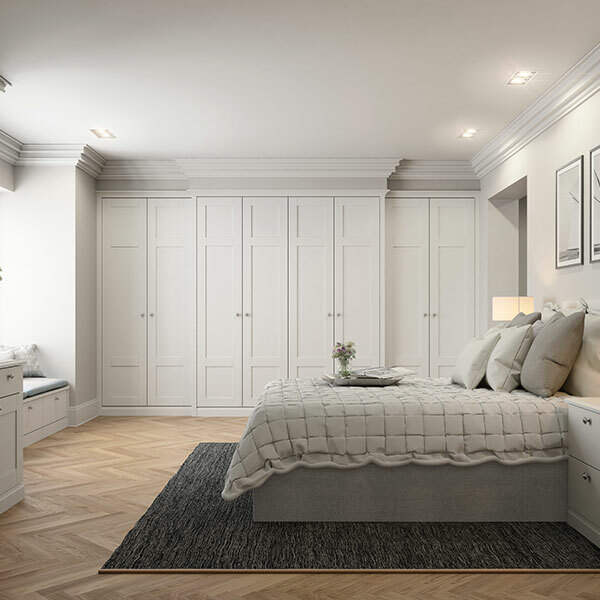 At Dajon Interiors you will find a beautiful range of bespoke bedrooms that can be tailored to your room size and ceiling heights. 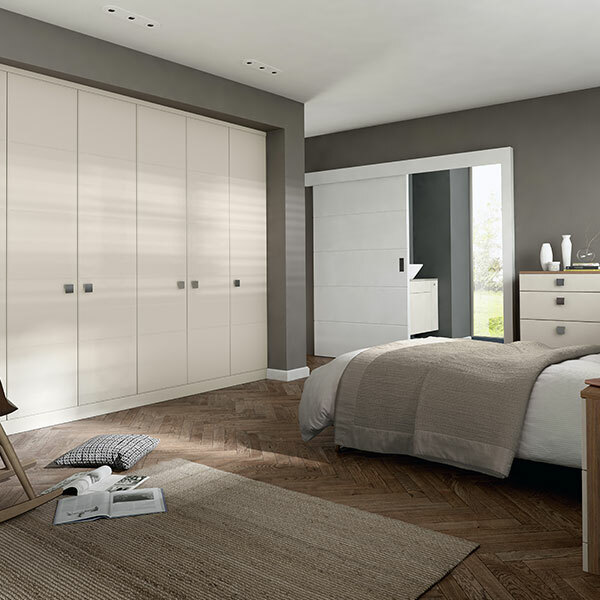 Dajon offer affordable bespoke bedrooms from British and German manufacturers which include a host of products from made to measure sliding wardrobe doors to angled wardrobes. Contact Dajon to book a home survey and to discuss your requirements. Looking for contemporary bedroom furniture? Dajon Interiors offer a comprehensive range of contemporary bedroom furniture in a range of styles, colours and wood finishes. Maximise your storage potential by using Dajons bespoke option-i service available across all contemporary door styles. 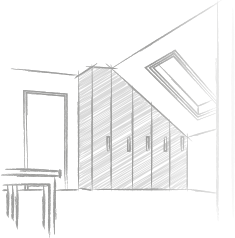 Dajons 2D and 3D design service will help you visualise your new bedroom. Dajons employed design and installation service makes having a new bedroom a breeze and promises no sleepless nights. 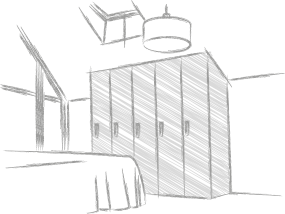 All ancillary works such as electrics, plastering and decorating can be undertaken to a high standard. Simply lie back and relax whilst Dajon transform your bedroom into a new haven of peace and tranquility. Not only do Dajon bedrooms look good on the outside, they also offer clever and practical storage solutions. Choose from a range of storage solutions for trousers, belts, ties and shoes to name just a few. Why not have installed interior LED lights turning your dark wardrobes into a bright space where everything is easily found, organised and accessible. Call Dajon Interiors on 01452 332336 or use the get in touch page to book a home survey and see what Dajon can do for your bedroom. Looking for something a little more classical? If contemporary is not your thing, Dajon have a complete and comprehensive range of traditional and classical bedrooms to choose from. Whether you like the simple lines of a timeless Shaker style door or the more intricate raised and fielded panelled door Dajon has it all! 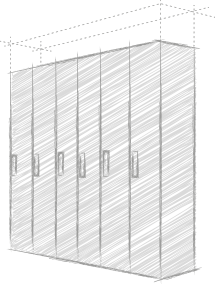 If your home has tall ceilings, make the most of the height with the Option-i bespoke service. Wardrobes and cupboards can be tailored to suit your room dimensions making sure you are getting the most out of your new Dajon bedroom. Made in Great Britain Dajons bedrooms complement the classical British home but still offers the convenience of modern manufacturing processes and internal fittings to maximise storage potential. Choose from a range of complementary products such as bed side cabinets, chests of drawers, dressing tables and headboards and window seats all made to suit the style of bedroom selected. Dajon also offer flooring solutions for your bedroom from leading floor manufacture Karndean along with in house employed installation.